You won’t find these beautiful brollies anywhere else, they are exclusive to Umbrella Heaven! Scroll below for more information. Introducing the awesome Alava, a fantastic mens fashion umbrella from our exclusive VOGUE collection. You won’t find these beautiful brollies anywhere else, they are exclusive to UH! The 8 panelled black canopy of the Alava has an impressive span of 118 cm! You can comfortably shelter 2 from the elements. Thanks to the Alava’s Teflon coated, pongee canopy, this totally windproof/waterproof brolly will stay looking great for ages. The Alava is the perfect accessory for the man about town. Turn heads wherever you go! 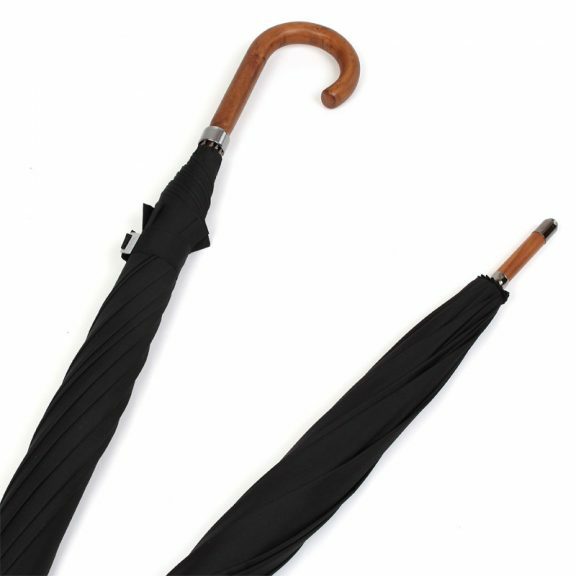 Make sure you stand out on a dark and dreary day with this marvellous mens fashion umbrella. 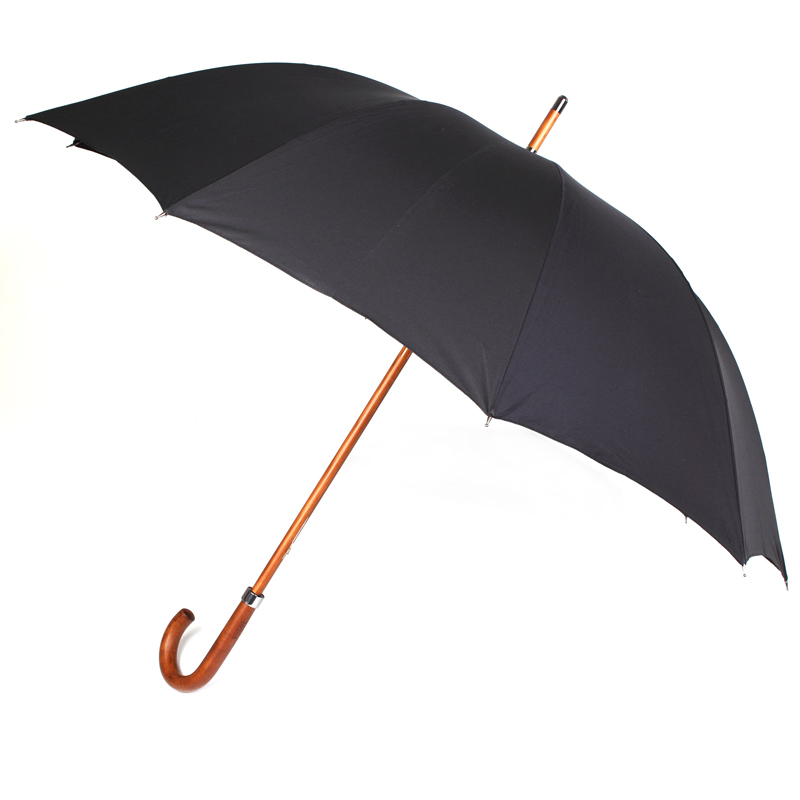 This classic style, designer parasol is manual opening and has a polished wooden crook handle. This beautiful brolly features a steel covered tip and spoke cup. Finally, the Alava is finished off with a neat colour matched tie wrap. Yes, this really is a traditional gent’s walking brolly at first glance. However once you’ve taken a 2nd and 3rd look you will be bowled over by the quality that oozes from this umbrella. Vogue umbrellas stand out from other umbrellas because at Vogue they do not compromise on style or quality. Every single component that goes into them is of the highest standard. Click for more mens umbrellas!